There’s nothing like a sweet, icy cocktail on a summer afternoon. Just ask Sloane, heroine of Wednesday’s Child: Full of Woe. 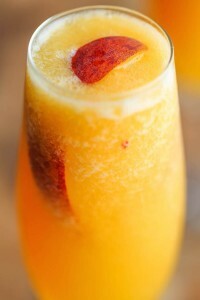 She’s been known to indulge in the perfect Peach Bellini now and again.